A travel guide ‘involving coffee, sandwiches, beer a bike ride and maybe a tram trip’. Dale Campisi’s guide to Melbourne is the perfect little road map, divided into suburbs, to see the best that Melbourne has to offer… we’re in it so you’re destined to have a good time! Dale is a Melbourne character and he’s really tapped into the heart of our creative, foody city. This beautifully bound book on luscious stock, includes recommendations from our favourite Lulo Tapas & Wine Bar all the way across town to Seven Seeds. Best to start your tour with a visit to our store and pick up a book for your travels. Melbourne Precincts is ideal for locals (who knew there’s a super cute self-serve yogurt bar in Balaclava!) 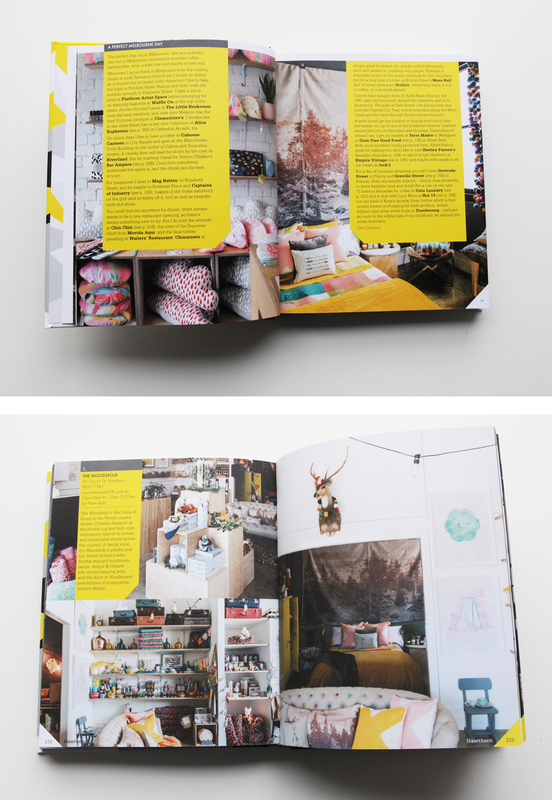 or for the Melbourne Newbie, perfect guest bedroom reading me-thinks! Melbourne Precincts $34.95, we take ☎ orders postage $10 within Oz.